Cardinal Eugenio Pacelli was elected Pope and took the name of Pius XII on this day in 1939, his 63rd birthday. A pre-war critic of the Nazis, Pius XII expressed dismay at the invasion of Poland by Germany later that year. But the Vatican remained officially neutral during the Second World War and Pius XII was later criticised by some people for his perceived silence over the fate of the Jews. Pope Pius was born Eugenio Maria Giuseppe Giovanni Pacelli on March 2, 1876 in Rome. 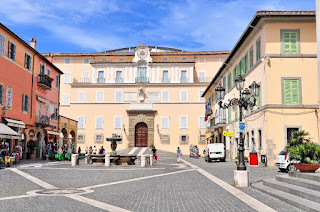 His family had a history of links with the papacy and he was educated at a school that had formerly been the Collegio Romano, a Jesuit College in Rome. He went on to study theology and became ordained as a priest. He was appointed nuncio to Bavaria in 1917 and tried to convey the papal initiative to end the First World War to the German authorities without success. After the war he worked to try to alleviate distress in Germany and to build diplomatic relations between the Vatican and the Soviet Union. He was made a Cardinal priest in 1929 and elected Pope on March 2, 1939. When war broke out again he had to follow the strict Vatican policy of neutrality. It is thought he had genuine affection for Germany but he did not like the criminal hands it had fallen into, and he feared Bolshevism. He used the modern technology of radio to offer sympathy to the victims of war in his broadcasts and towards the end of the war he appealed to the Allies to be lenient. His supporters say he had sympathy with the Jews and that he tried to help them along with prisoners of war and people who had gone missing during the conflict. But his critics argue that he was too weak and did little to challenge the Nazis. Pope Pius XII died in 1958 at his residence in Castel Gandolfo to the south of Rome . After Pope Pius XII died in Castel Gandolfo he was brought back to Rome to lie in state surrounded by four Swiss Guards. He was then placed in a coffin and buried beneath St Peter’s Basilica in a simple tomb in a small chapel. The Vatican Grottoes beneath the floor of St Peter’s Basilica house the tombs of many dead Popes, including St Peter himself. Castel Gandolfo, where the Pope has his summer residence, overlooks Lake Albano from its wonderful position in the hills south of Rome. The Pope spends every summer in the Apostolic Palace there. 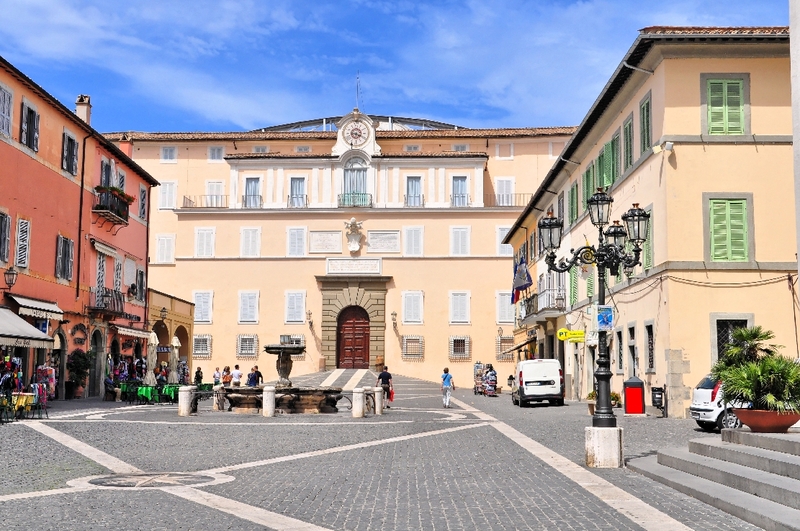 Although his villa lies within the town’s boundaries, it is one of the properties of the Holy See. The palace is not under Italian jurisdiction and is policed by the Swiss Guard. The whole area is part of the regional park of Castelli Romani, which has many places of historic and artistic interest to visit.